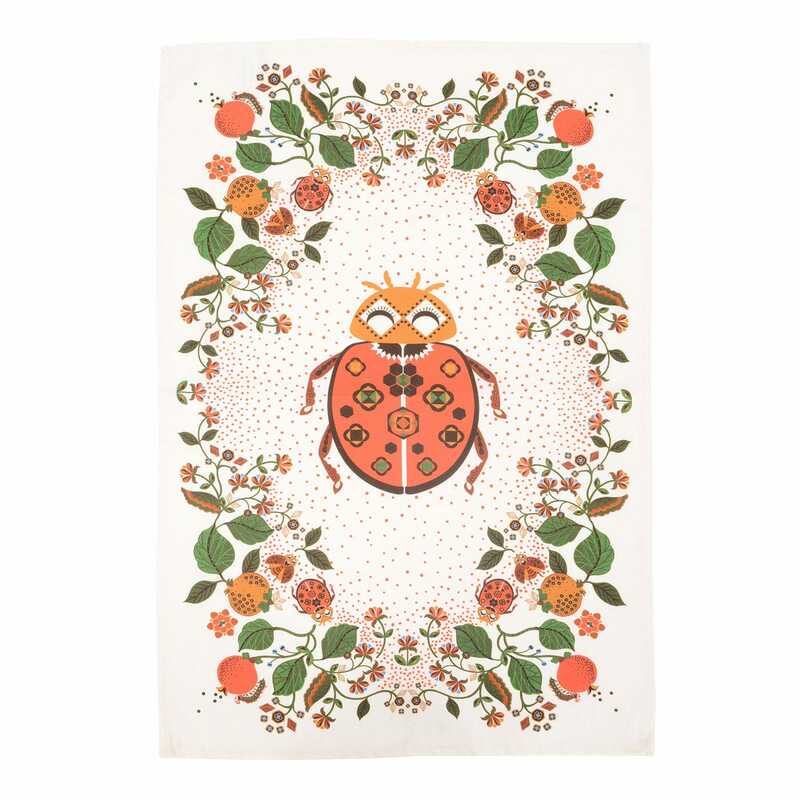 A richly decorative and colourful pattern, Louise Wilkinson’s Winter Garden design has been charmingly printed onto this soft cotton tea towel. This illustrative design captures the beauty of a British winter garden, showcasing the designer’s penchant for wildlife motifs inspired by her childhood growing up in Yorkshire. Having started her career as a print and textiles designer in London's fashion industry, Louise Wilkinson founded her studio 2012. 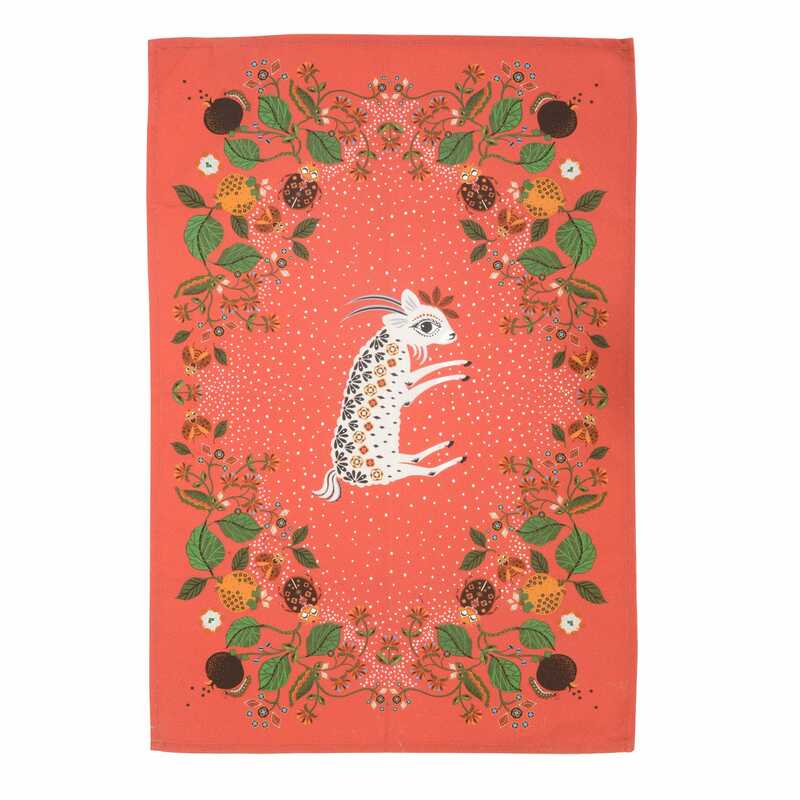 Inspired by her childhood growing up in the Yorkshire countryside, as well as her love of animals and the natural world, Louise Wilkinson creates charming and decorative illustrated pieces that are timeless, beautiful and practical.